Meyerii is a 2m winter dormant shrub with pretty, quite large pale blue flowers in summer. I have never done well with it, no doubt because it has been squashed in my garden. 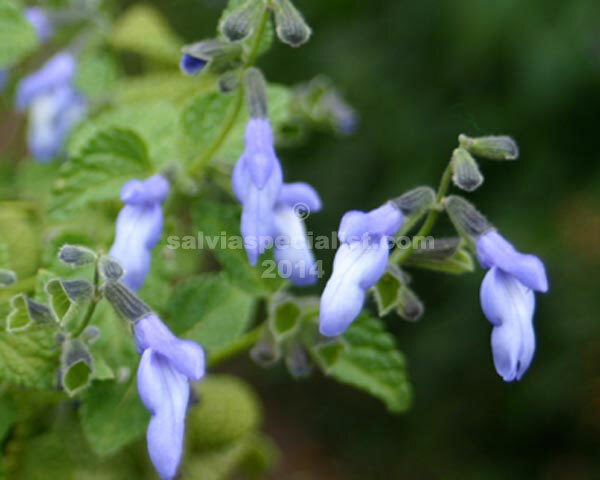 Salvias often grow quite well in shade but some do insist on seeing the sun occasionally. Meyerii grows from cuttings easily enough and also sets seed.